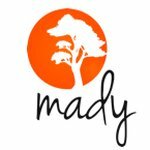 MADY specializes in high quality, innovative pet supplies and outdoor gear, all offered at affordable prices with fast worldwide shipping. Our goal is to make the world a little better by trying to produce our products and everything around our products environmental friendly. If you value your pet and the world around you, choose the finest pet & outdoor products available, choose MADY!